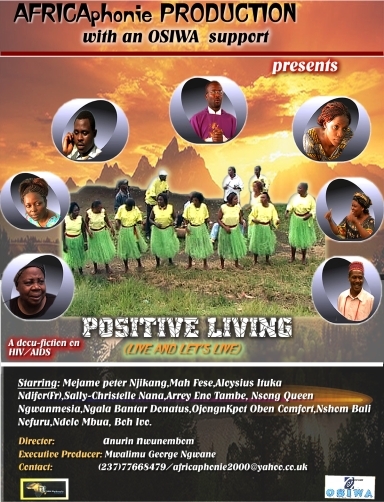 The Cameroonian Telefilm scene has once more been adorned by yet another AFRICAphonie production entitled “Positive living” (live and let’s live). Coming on the heels of “Nkuma” a film on female Genital Mutilation, (FGM), the awe-inspiring movie announces itself through a captivating poster design shaped like a hose shoe and hemmed by the beaming faces of mature actors and actresses. 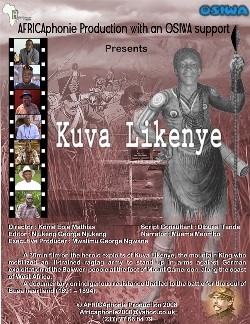 The prominence of good old reliables like Mejame Njikang, Pa Ngalla (of the Musinga drama group fame) and the venerated Mah Fese among other fine actors and actresses foretells swell times for potential viewers.